Burritos are popular, but what is all about Burrito Principle of Marketing? If you already know about the term, you may be thinking, how do circle magnets 5 inch and burrito principle of marketing correlate? Your doubts are valid because this term is largely associated with social media marketing. 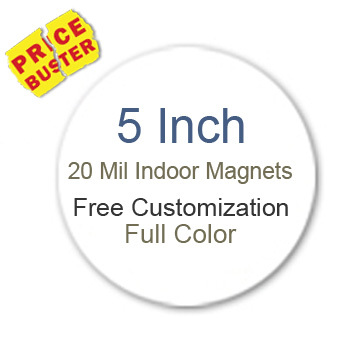 Kitchen conversions magnets are one of the perfect choices for indoor advertising because everyone would love them. You might be thinking that if you are seller of technology or hardware, how this kitchen conversion may help your business. It is not necessary that you always attempt direct selling. You can tell people to donate, share, care for and think about certain things or causes, which are currently hampering the quality of life on earth or bothering people in a society. Perhaps the above-mentioned burrito timings will easily fit into this pattern. If not the lunch and evening, still people would go near their refrigerator door for taking breakfast and dinner in the evening. If you are targeting home based customers, perhaps this style of marketing is the best. You can talk to them about the calories, kitchen dos and don’ts, food etiquette, food conversions or anything that interests them. People would be pestered to look at this information, whenever they approach the refrigerator for taking out cold drinks, pizza, pasta or any other dish. Customized circle magnets 5 inch are perfect for businesses, which wish to improve team spirit and work culture. These customized magnets would be seen and appreciated by everyone and they would make it a point to retain such informative magnets against their work cabinets. They may not follow a burrito principle of marketing, still on and off they may look at it, whenever the time permits. Customized circle magnets 5 Inch are perfect to impress people on all the time slots given above. People may see your advertisement scrolling before their eyes, when you are driving to work at 8.30 AM, they would notice it during the lunch break from over your car parked in the car basement or outside the office at 12.30 PM. Also, people would read it over your car door, if you are returning home at 5.30 PM. There are very sleek chances that many people are seeing your advertisements at night, but they might see it , if you have parked your car in a well-lit area. You can check many other ways of impression building over customized 5 inch circle magnets by sticking to burrito principle of digital marketing. Avail free shipping, free online design proof, free art setup, and free full color printing by ordering these promotional magnets from a reputed and reliable online store.